NEW BRITAIN - Awards and an inspirational speaker highlight the 2019 Opportunities Industrialization Center of New Britain annual gala, to be held on May 3 at Five Churches Brewing. Five Churches is at 193 Arch St. and the event is set for 9 to 11 p.m. This year will mark the 47th year of the gala, the organization’s biggest fundraiser of the year. Money raised at the event contributes to OIC’s support of the youth initiative and education efforts. The funds will be split between the OIC endowment and youth services. 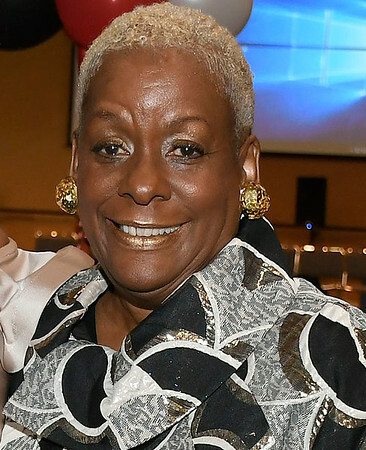 According to Paulette Fox, executive director of OIC New Britain, the organization has spent more than 47 years improving the lives of youth and their families while partnering with businesses and schools to better serve their needs. The award winners, selected by the OIC New Britain gala committee, include Nicholas Jakubowski, who will receive the Leon Howard Sullivan Award, OIC’s highest individual honor. The Angelo Tomasso Community Award will be given to Evelyn Hundyma and the OIC Essence Award will go to Pamela May. “Come and join us as we announce, celebrate and honor these individuals who are living proof that there are no limits to what you can accomplish as long as you continue to use your mind and fight for what you believe to be right,” Fox said. Teresa’s Catering and Scott’s Flowers will be the businesses recognized at the event for their support provided to the organization. “Teresa’s is one of the best caterers in the area and this year she will continue to wow our audience with a delicious array of foods and displays,” Fox said. “You have enjoyed Scott’s floral arrangements at our gala for the past five years and this year there will be another floral arrangement for you to take home after the event, thanks to Scott’s Flowers,” Fox said. The inspirational speaker is LaReese Harvey, who Fox said will add a special flavor to the evening. The gala committee is accepting sponsorships and donations of items for silent auction. Tickets can be purchased on-line at Eventbrite.com. To learn more about the gala, call 860-224-7151. For more information about the organization, visit its website at www.newbritainoic.org . Posted in New Britain Herald, New Britain on Wednesday, 10 April 2019 21:12. Updated: Wednesday, 10 April 2019 21:15.